Had lunch with rif a couple of weeks ago at Izzi Pizza, Pasta & Coffee, Damansara Uptown. There’s a 65% discount on food (minimum purchase of RM 100) for Citibank credit cards. 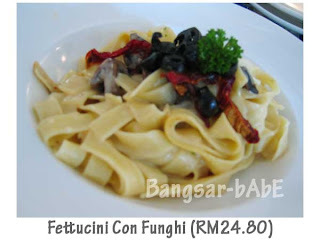 We ordered the Soup Of The Day, Fettucinni Con Funghi, Chicken Steak with Pasta and Izzi Classico (large) to share. The soup, garnished with croutons and oregano was mediocre. I thought it tasted rather bland, like it came from the can with bits of mushrooms thrown in. rif thought it was average too. The Fettucini con Funghi came topped with olives, sun-dried tomatoes and shavings of parmesan cheese. The standard has dropped and the price increased since the last time we casino online nl dined here. The pasta was too dry and I found their mushrooms very, very scarce. 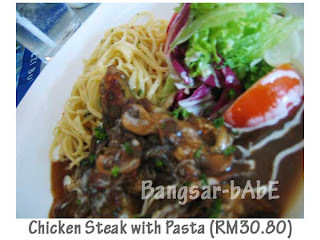 The Chicken Steak with Pasta didn”t taste that great. While the linguine was al dente and grilled chicken was tender, the mushroom sauce was too salty and tasted a bit starchy. 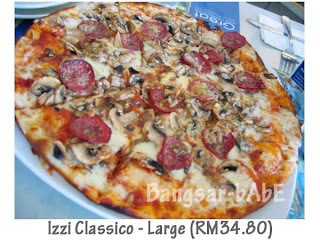 The Izzi Classico consisted of minced beef, salami, mushrooms, tomatoes and topped with cheese. The pizza was too sour and was deprived of cheese topping. Service was utter crap. They were under-staffed and the manager wasn”t doing a good job. She was merely looking around in a daze, oblivious to the fact that her waiters needed a hand. 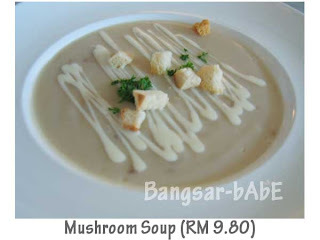 The bill came up tp RM 39.95 with the 65% discount. Pretty good deal, but I”d think twice about returning…unless they buck up. Verdict: Mediocre food, crappy service but good promos. no comment on this place.. why would anyone go there.. Jeffrey!! Of course I remember..
hmmm… its usually as sign that no one will go there if there is no discount.